Objective Hewlett Packard Enterprise, one of the world's largest technology companies, sports a comprehensive portfolio spanning the cloud to data centres to workplace applications. HPE Asia-Pacific had the challenge of providing its network of enterprise customers and channel partners with accurate and updated information on its vast product and solutions portfolio. 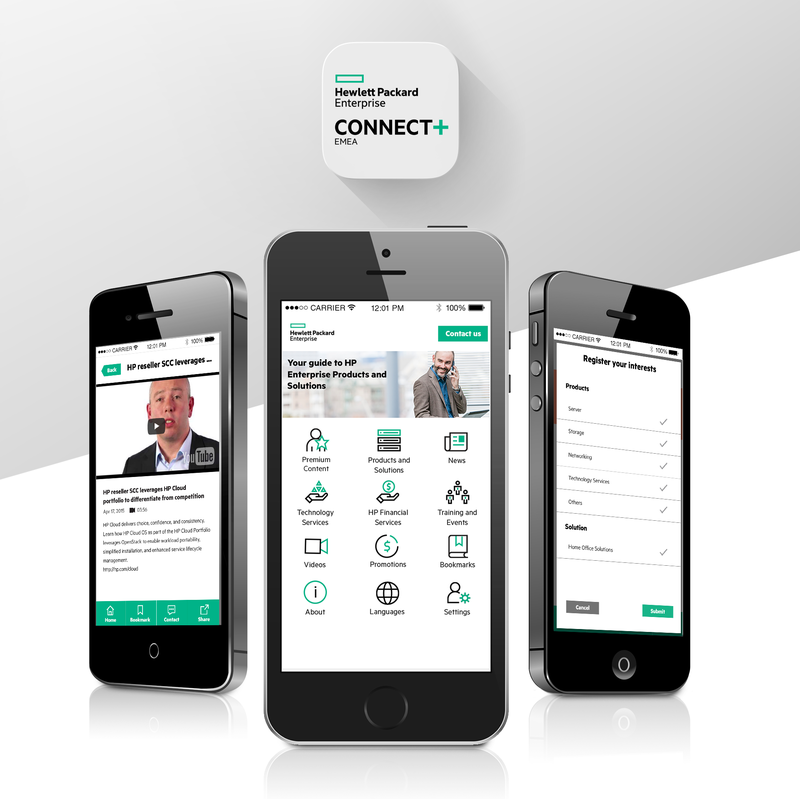 Solution We developed the mobile application, HPE Connect+, a sales enablement tool geared specifically for the APAC market and intended for HPE sales and channel partners to provide information on-the-go. This one-stop resource centre on HPE servers, storage and networking included key features such as latest news releases, videos, blogs, useful sales guides, tools and more. With its content available in English, simplified Chinese, traditional Chinese and Korean, the mobile app was produced for iOS & Android in order to make it accessible to its intended audience across Asia-Pacific. Its success in the Asia-Pacific region led the HP EMEA team to produce a similar app but with an added focus to target customers with content localised to Spanish, Russian, Portuguese, French, Italian and German.